Paulina Wheeler Tompkins passed away peacefully at her home in Hannibal, MO, surrounded by love on Monday, January 9, 2017. Paulina was 91 years old. Funeral services will be held 11:00 a.m. Wednesday, January 11, 2017, at the Smith Funeral Home & Chapel. Pastor Linda Spaun will officiate. Burial will be in the Grand View Burial Park. Visitation will be held 10:00 a.m. until the time of the service Wednesday at the Smith Funeral Home & Chapel. She married Truman E. Wheeler on January 12, 1946 in Hannibal, by "The Old Ridge Runner" Reverend Johnny Golden at his home on 1713 Grace St. She settled with her husband and their three children in rural Hannibal, where they lived for the remainder of his life. They shared a loving marriage for 32 years until he passed away on Sunday, April 9, 1978. On January 17, 1981 she married Raymond Ralph Tompkins, of Bowling Green. They had been life-long friends. She and her husband traveled to every state in the country, creating many lasting friendships along the way. Ray passed away on October 30, 1991. Paulina was an active member of many organizations including First United Methodist Church and Mary Magdalene Sunday School Class. 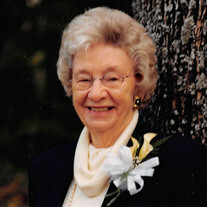 Her hobbies included sewing, quilting and being with her family. She was preceded in death by one brother, Lawrence, both parents, her son Darral, her husband Truman, her husband Ray, her brother George and her sister Mary Jane. She is survived by two daughters Alma Wright (Jim) of St. Louis, MO and Earline Givan (Ron) of Hannibal, MO., four grandchildren Travis Givan (Jaclyn), Lori Givan, David Wright (Therese), Aren Sheets (Paul), five great grandchildren, Parker, Jackson, Tanner, Wesley and Tyler. Memorial contribution may be made to Scott's Chapel United Methodist Church, in care of the Smith Funeral Home & Chapel.